“VITAL” of “VITAL-NET” means “Indispensable for life” , ”Energetic” and “Fresh”, symbolizing our wish to contribute to the health of people. And the radically combined V of the company logo express a further extension our business. 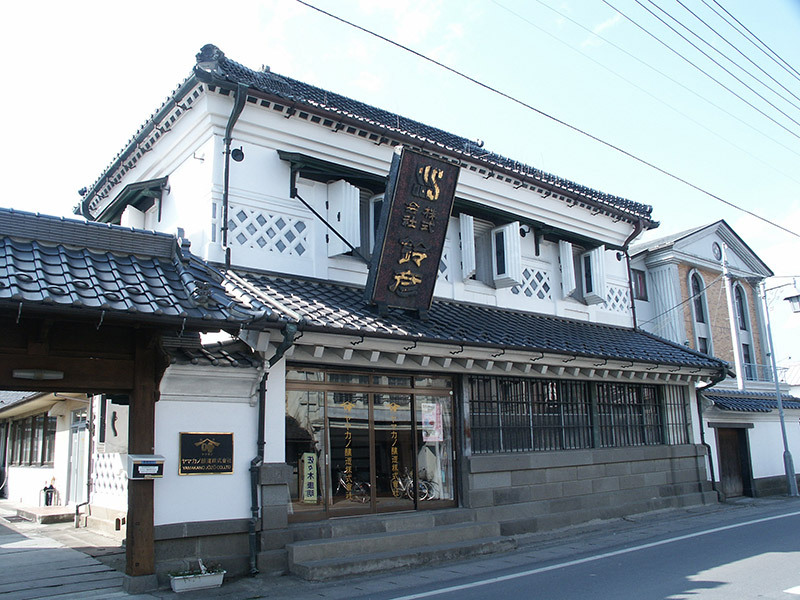 Suzuhiko Shoten was founded in Tome city Miyagi. 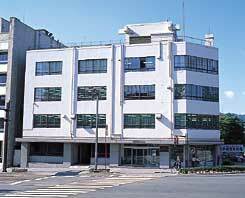 Natori Distribution center was established. Company’s Name was changed from Suzuhiko Shoten to Suzuhiko. Daigakudo Shoji(Aomori) is merged with Suzuhiko. Muraken Yakuhin(Iwate) and Asahi Yakuhin(Yamagata) and Suzuhiko are merged ,and established SUNS. SUNS listed on the second section of the Tokyo Stock Exchange. Wako Yakuhin (Akita) was marged with SUNS. SUNS listed on the first section of the Tokyo Stock Exchange. SUNS-TOKYO took over the medical drug department of Mogiyakuhinshokai. Home help service business has started. SUNS merged with Nichiei(Niigata), Saneiyakuhin(Niigata) and established VITAL-NET. Enters into capital alliance with Inoueseishodo(Toyama). VITAL-NET merged with Omori Yakuhin Tohoku (Miyagi). Enters into business alliance with HOKUYAKU(Hokkaido), Nabelin(Nagano), Toho Pharmaceutical(Tokyo), Nakakita Yakuhin(Aichi), KSK(Osaka), Astem(Oita). The company split-up healthcare department and established Vital-Healthcare. The company split-up nursing care department and established Vital-Care. We splitt off the division of nursing-care into VITAL-CARE,INC. The Ashi-no-kai Group was established by 9 allied companies. We acquired stakes in Inoueseishodo(Toyama). Vital Express,Vital Express Akita,Vital Express Yamagata,Vital Express Niigata were merged and established Vital Express,Inc. VITAL-NET, INC. and KSK,inc. 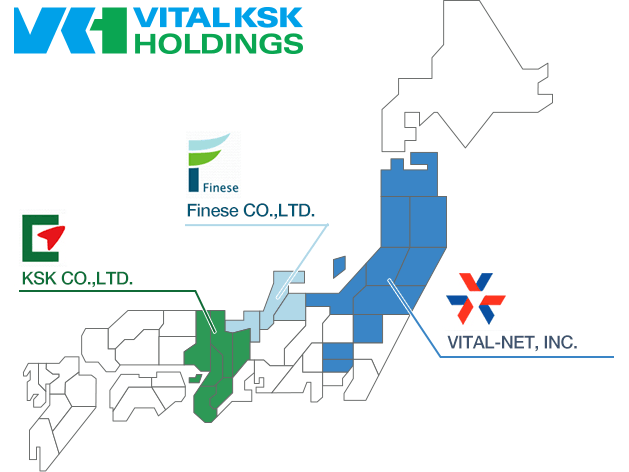 established joint holding company, VITAL KSK HOLDINGS,INC. COPYRIGHT © VITAL-NET, INC. ALL RIGHTS RESERVED.